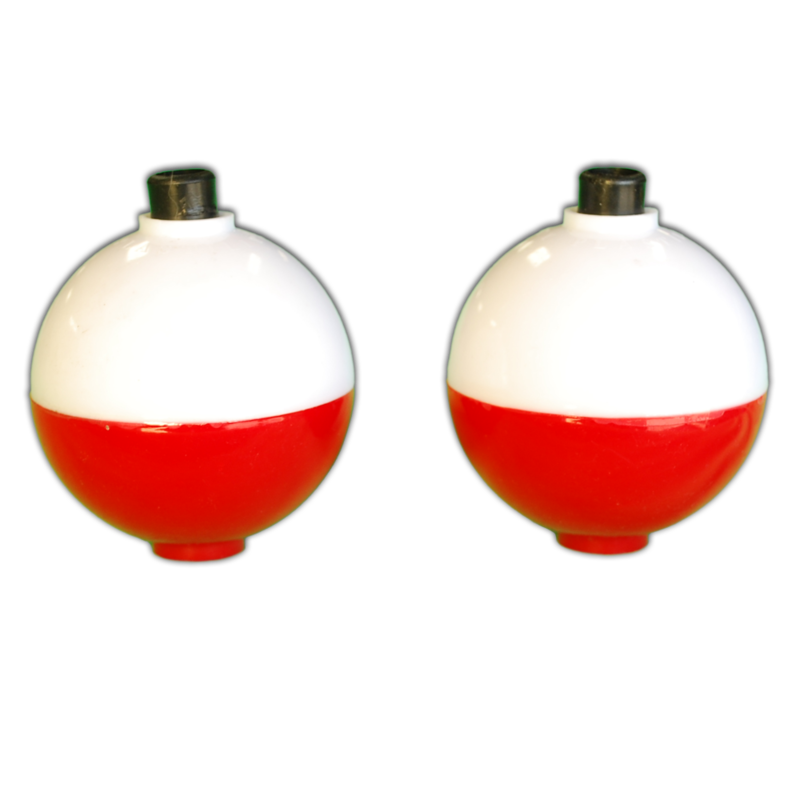 Round ball float has a plastic white top and red bottom. 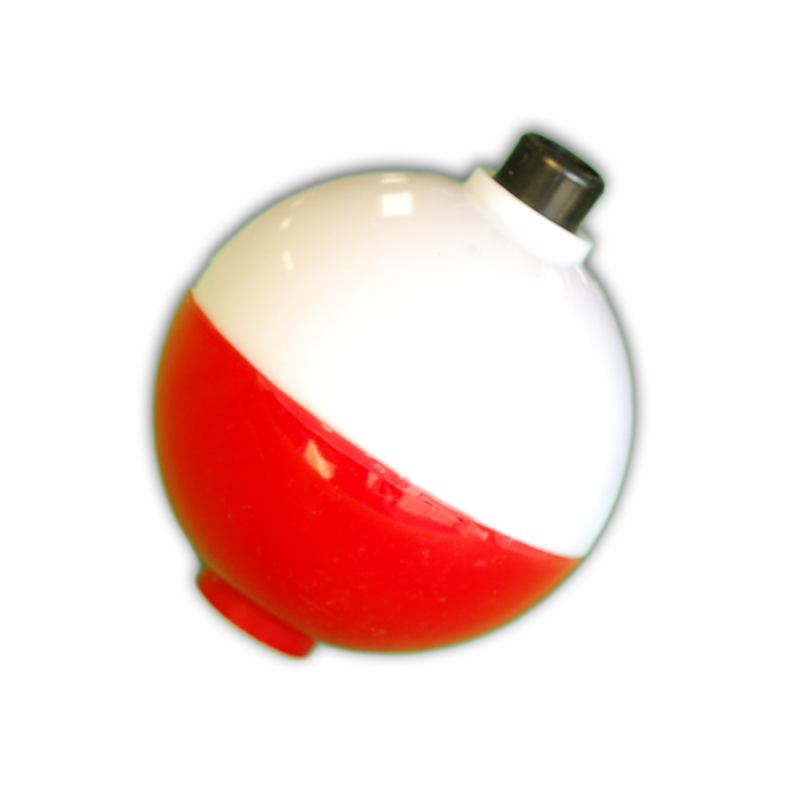 The Black plastic button when pressed down will reveal a wire latch to attach the fishing line. Line knot is not necessary.